First Choice Janitorial Services is one of the best options for commercial businesses looking for janitorial services in Vancouver, WA. 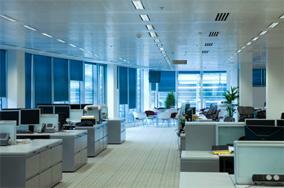 Cleaning commercial buildings is one of our specialties. We service restaurants, office buildings, banks, apartment complexes, and many more. We use only the best products and materials in our cleaning service, meaning you will not be dissatisfied once we are finished. Our service begins with a thorough deep cleaning of every aspect of the business. We then use a truck-mounted extraction system that deeply cleans your carpets, getting any and all traces of dirt and grime out and away. We also offer many other services, including bathroom cleaning, kitchen cleaning, carpet repair, hardwood refinishing, and floor stripping and waxing. Your building will look like it did when it was first built. Running a business takes a lot of time and effort on your part. Trying to fit in regular cleaning along with all of your other responsibilities can make it impossible. You will never have to worry about fitting the cleaning into your schedule, and we will perform everything at the highest level. If you are in need of a cleaning service in the Vancouver, WA area, give us a call and we can get your business back to its former glory. For commercial cleaning service in the Vancouver, WA area, contact First Choice Janitorial Service. We are one of the best cleaning services in the Vancouver WA area, and you can count on us to provide excellent, friendly service, unrivaled experience, and efficient cleaning methods. Give us a call today and get your business looking new. Problem: Food stains or other staining liquid is spilled on upholstery or carpet. Tip: Wipe up with a clean cloth as much as possible. Don’t use any cleaning solution or water to try to clean, as it will set the stain into the fabric or upholstery and make it very difficult to completely clean. Let us know about problems and we’ll clean the stained area with our professional extraction system.